Discover a collaborative, real-time way to manage projects in Smartsheet. Starting a new project, whether as a certified project manager or not, can be overwhelming. That’s why it may be helpful to leverage a pre-built template to quickly get your project up and running. Finding the right project management template means assessing the type, size, and complexity of your project and looking for one that will help bring the most transparency, efficiency, collaboration, and speed to your projects. But with all the template options out there, how do you know which one will work best for you? 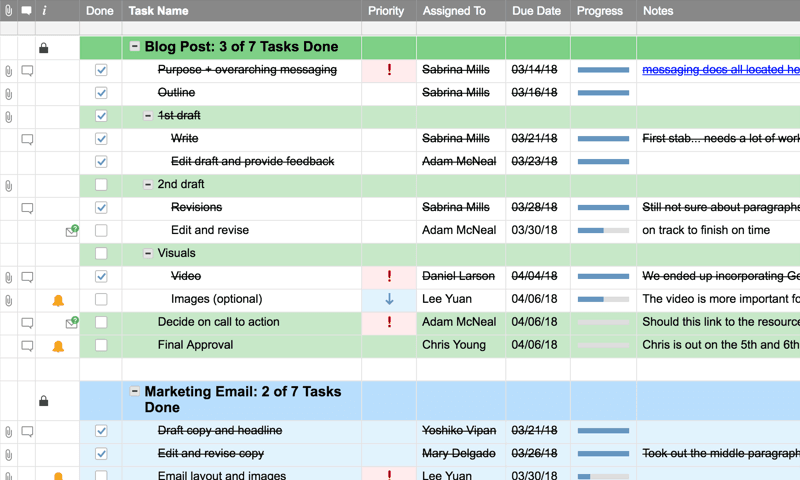 Below you’ll find a list of project management templates in Smartsheet, a cloud-based work execution platform that project managers around the world use to successfully deliver projects. To be even more helpful, we’ve also included a comprehensive list of articles that have templates in other platforms for the various aspects of your project planning and execution. 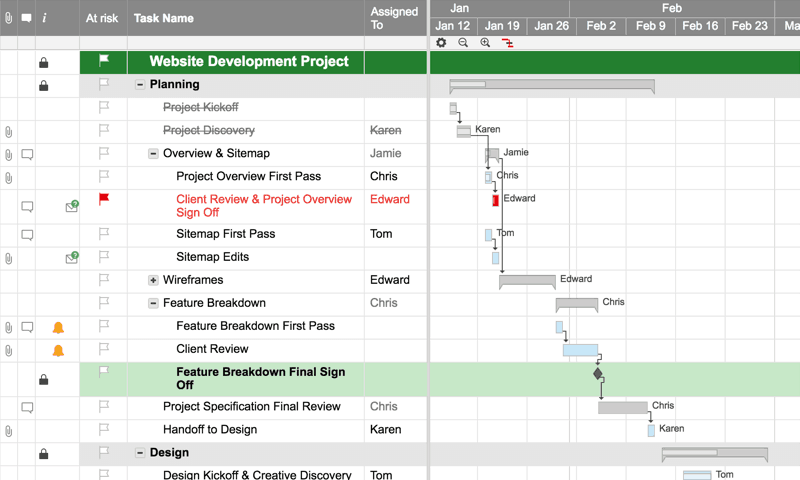 Project with Hard Deadline & Gantt: Deliver projects on time with a workback schedule from your final deadline. Define start and end dates for each task, set automatic alerts for upcoming deadlines, and see delivery dates update in real time as changes are made to the schedule. Project Task List: Plan and manage your project task lists in this real-time template. Increase visibility and accountability by sharing it with internal and external stakeholders. Track status and identify at-risk tasks to take immediate action. Team Project Task Board: View and track tasks across your team with this online Kanban card board template. Visualize project tasks by assignee, status, or feature type, share with key stakeholders, and quickly identify resource gaps so you can delegate tasks and balance workloads. Project with Resource Management: Use this template to plan and manage your projects with a real-time view into task assignments across your resources. Quickly determine over- or under-allocations and make adjustments before your project timeline is impacted. 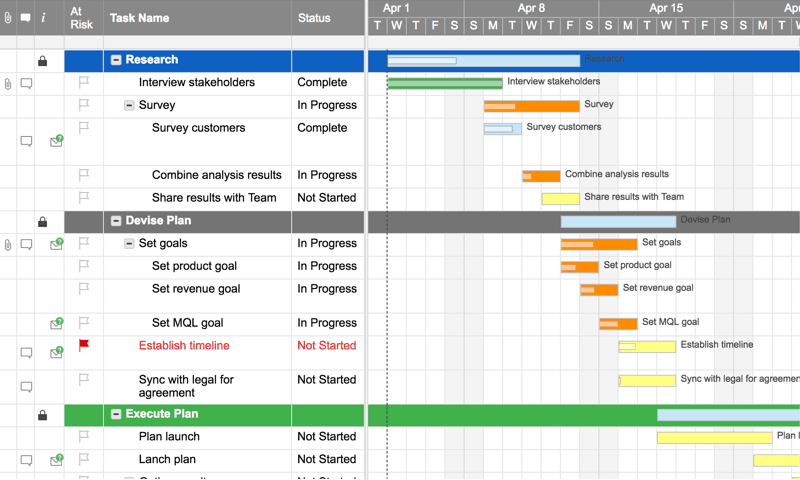 Want more project planning templates? Visit the Smartsheet Solution Center to get the complete list. Project with Gantt & Budget Variance: Plan, track, and visualize project tasks in context with budget amounts and variance. Monitor budget variance in real time to adjust spend and ensure projects stay on track. Share with key stakeholders to keep them informed of the project’s budget status. 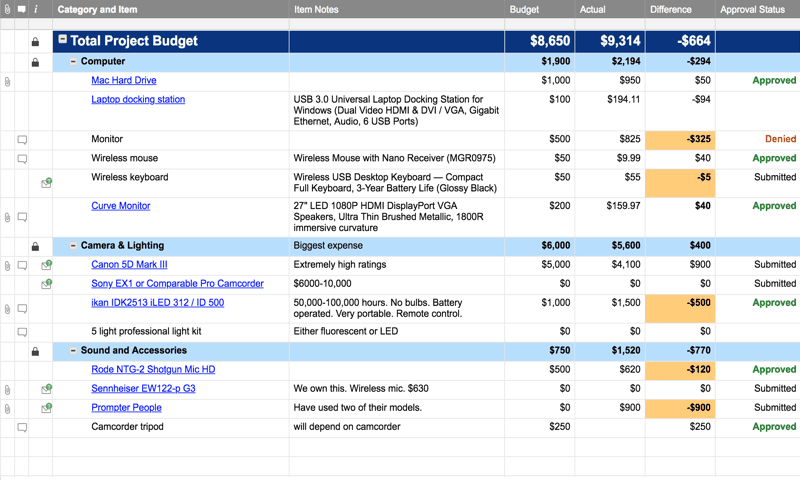 Project Budget: Use this template to track budgeted and actual project expenses in one real-time location. Save time with automated approvals for new items or budget changes, and centralize supporting documents to keep all the details in context and maintain visibility. 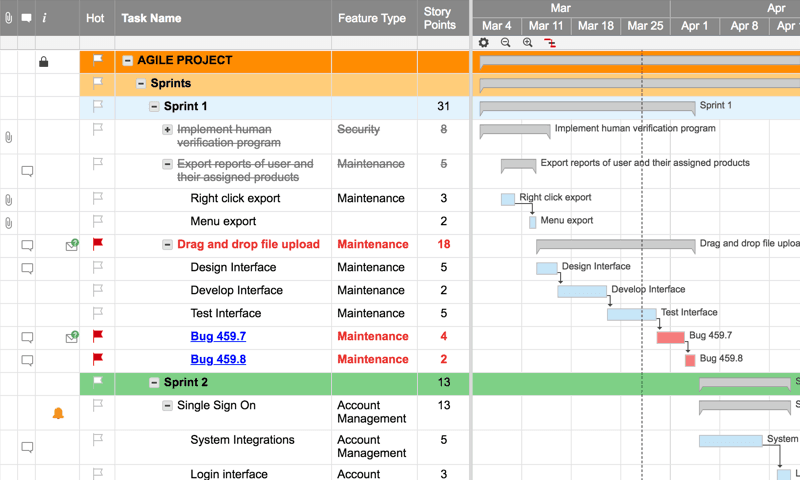 Project with Gantt Timeline: Create your project plan and then track the impact of changes on a visual timeline. Organize tasks and projects in manageable action items, quickly identify and address at-risk tasks, and see your timeline automatically update as changes are made. Project with Gantt & Dependencies: Plan, track, and manage every aspect of your project with a visual, interactive timeline. Attach supporting documents to keep details in context and identify the impact of task delays to rapidly recover from setbacks. Monitor your project in real time and share project status among key stakeholders. 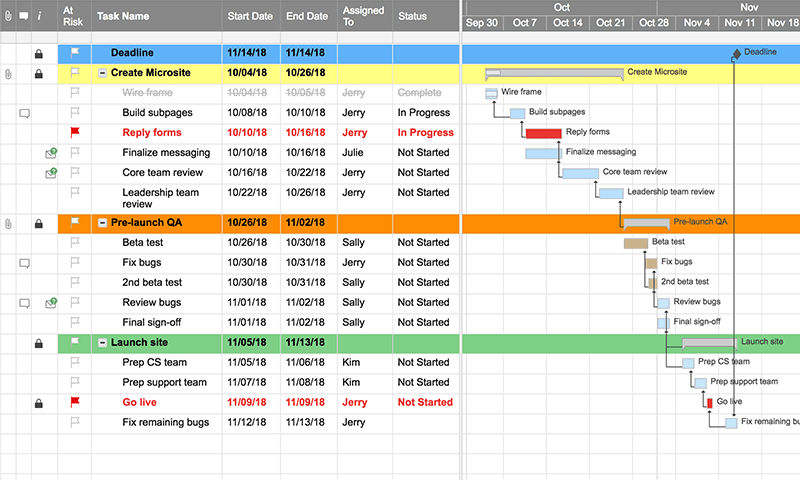 Agile Project with Gantt: With our pre-built Agile Project with Gantt template, you can plan, track, and visualize all aspects of your Agile project with an interactive timeline. Share your project plan with internal and external stakeholders, and quickly identify the impact of task delays to keep your project on track. 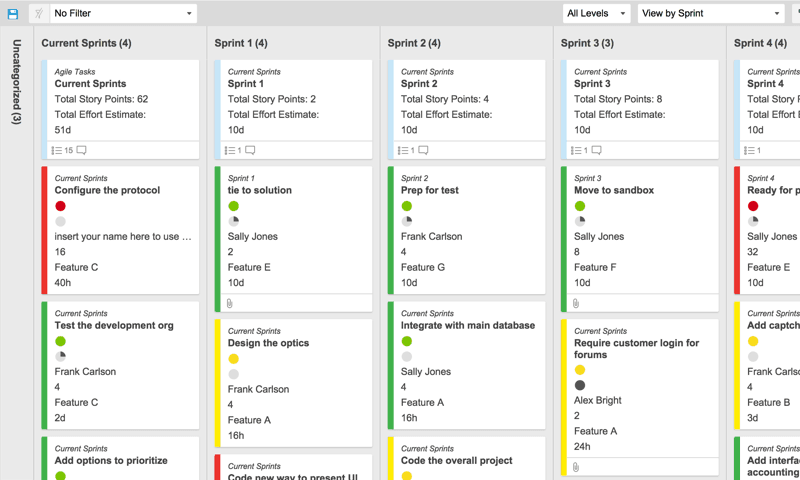 Sprint Planning Board: Plan, manage, and visualize sprint tasks on an online, real-time Kanban card board. Organize your card board by task ownership or status, and share it with your team and key stakeholders to increase visibility and accountability. 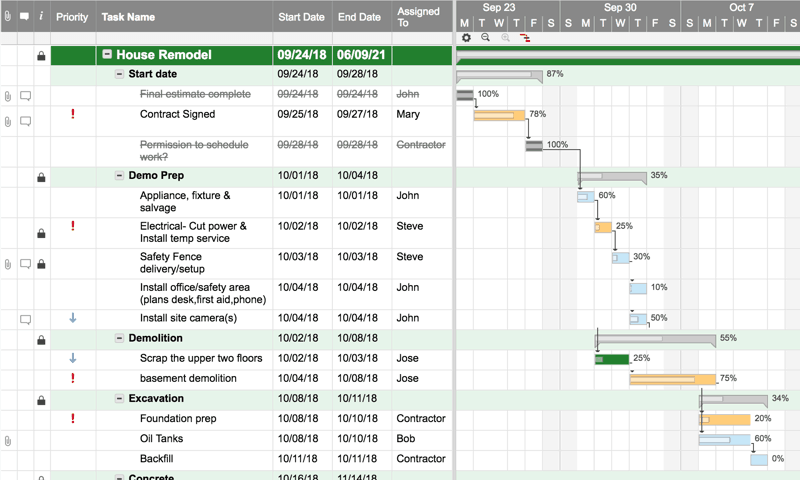 Construction Schedule with Gantt: With this real-time construction schedule template, you can plan, track, and visualize construction projects on an interactive timeline. Share with clients and subcontractors to increase transparency, and make updates right from the construction site using the Smartsheet mobile app. See your schedules automatically adjust as changes are made. Construction Budget: Plan and manage construction tasks in context with budget amounts and variance. Monitor budgets and set alerts for when items are at risk in order to adjust spend and ensure projects stay on budget. Attach invoices and estimates within your budget to create a single source of truth. 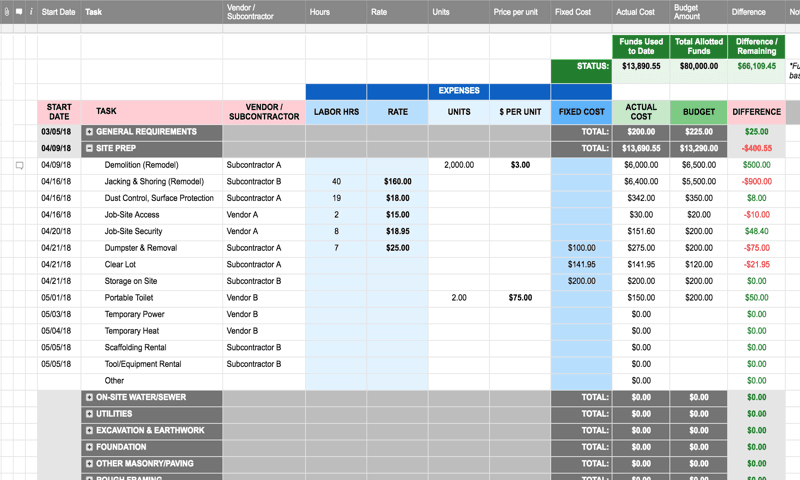 Construction Estimator: Use this template to create a detailed cost estimate for any type of construction project. Centralize supporting documents, proposals, and correspondence in one real-time location. Share estimates with clients and subcontractors to collaborate, review, and approve them. Subcontractor Documentation: Keep track of subcontractor documentation throughout the life of your projects in one real-time location. Set due dates and check off documents once they are received to provide a clear view of outstanding items. Share the tracker with subcontractors and set automated update requests to streamline the submittal process. Website Project with Gantt & Dependencies: Use this real-time template to plan and track tasks throughout each phase of your web project. Visualize tasks, due dates, and milestones on an interactive Gantt chart timeline, and see your timeline automatically adjust as changes are made. Keep wireframes and client email in one centralized location, accessible to all. 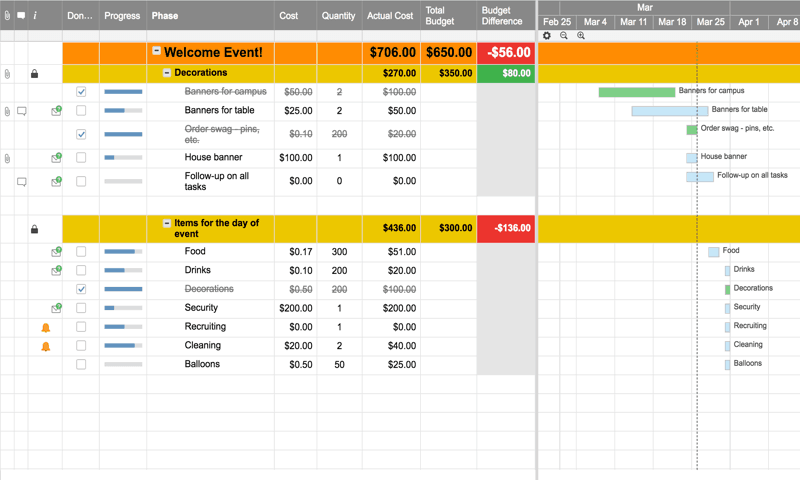 Event Plan & Budget: Ensure events are delivered on time and within budget with this real-time, collaborative event planner template. Organize tasks, assign owners, forecast budgets, and attach documentation to keep details in context. Share with your team so they can access key information right from the event floor via their mobile device. 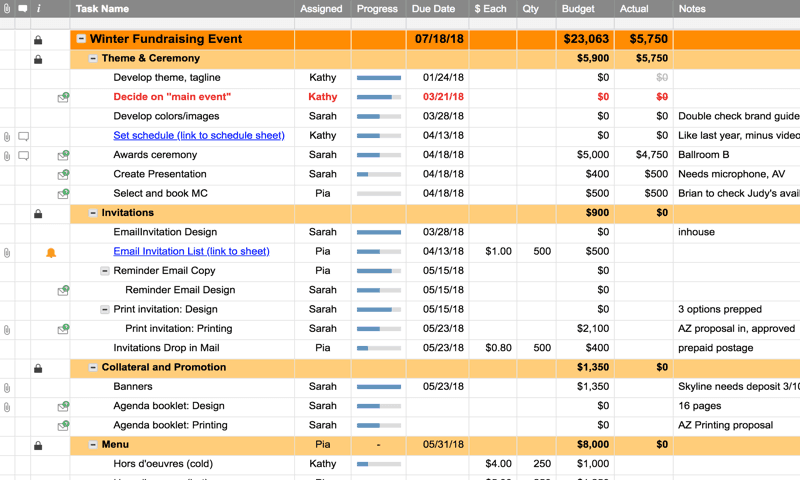 Event Task List with Gantt & Budget: With this event task list template, you can schedule tasks, assign owners, and visualize timelines to ensure no detail is missed. Identify the impact of delays and rapidly recover from setbacks. Centralize event details in one location and share the plan out with your team to keep everyone in sync. Want more marketing templates? Visit the Smartsheet Solution Center to get the complete list. 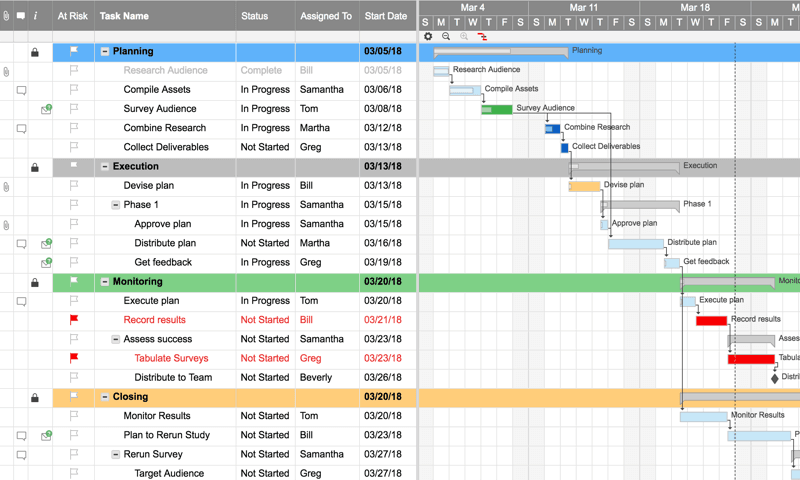 Top Project Management Excel Templates: Update your project management strategy with these customizable, easy-to-use project management template for Excel. 14 Free Program Management Templates: Gain high-level visibility into the important aspects of program management, such as key performance indicators (KPIs) and project status, with these detailed templates. Free Functional Specification Templates: The Roadmap to a Smoother Development Experience: Streamline project-related communication with the functional specification document, which captures all key components of a project into one comprehensive report. Project Charter Templates and Guidelines: Outline new projects and increase transparency for stakeholders with a comprehensive project charter. Detail key components of the project, such as scope, objectives, and overall goals, to get the green light on your new project. 17 Free Project Proposal Templates: Write a detailed project proposal listing resources, rationale, and budget to gain traction and support within the business using these free, easy-to-use templates. Free Blank Timeline Templates: Whether planning a large project or detailing small targets to reach along the way, use a blank timeline template to establish deadlines and maintain a structured agenda. Free Google Timeline Templates: Save time and boost efficiency with free Google timeline templates that are easy to use and edit. Free Technology Roadmap Templates: Outline the strategic plan of your project and all of its key components using this technology roadmap template. Free Product Roadmap Templates: Set product development goals and strategic checklists that detail business objectives and prioritize initiatives with these product roadmap templates. Free Stakeholder Analysis Templates: Gain insight on potential stakeholders to ensure buy-in, engagement, and influence with these collaborative stakeholder analysis templates. Mind the Gap: Free Gap Analysis Templates: These gap analysis templates determine where a company is not performing optimally, detail the reasons, and establish a plan for improvement. Creating Operations Dashboards: Metrics, Tips, Examples, and Step-by-Step Checklist: Discover a variety of Excel dashboard templates that will help report and control operations in the most transparent manner. Free Technical Specification Template: Create an essential guide that defines a product or system and ensures continued understanding among stakeholders with a technical specification template. Free Risk Management Plan Templates: Identify, analyze, and assess all risks involved in your projects with a risk management template, ensuring the most seamless project execution. How to Create an Effective Project Status Report: Capture all critical business activity and key developments in the process with a comprehensive project status report, giving a snapshot of all the key elements for maximum transparency. Free Root-Cause Analysis Templates: Uncover the cause of an issue in a project with a root cause analysis, allowing insight into why the problem occurred, how it will be addressed, and steps to take to prevent it in the future. 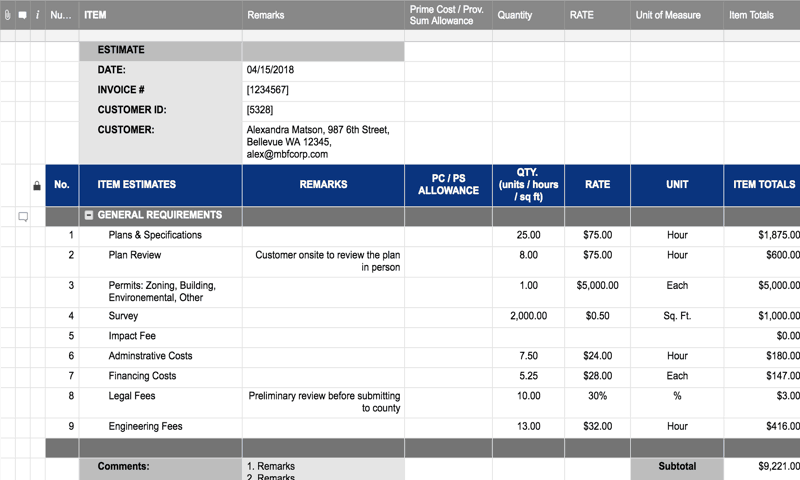 The Ultimate Guide to Cost Management with Templates: Make the best use of your company’s resources by establishing a cost management plan driven by hard data and measured performances. Free Cost Benefit Analysis Templates: Before determining a plan for your project, weigh the pros and cons of the process using this cost benefit analysis that gives you a comprehensive look at the financial risks and rewards of the project at hand. Free Lean Six Sigma Templates: Lean Six Sigma is a methodology that works to streamline business processes in an effort to increase efficiency, boost business value, and reduce wasted time and resources. Use these free templates to create Lean Six Sigma project management guides applicable to your own business needs. Where Do You Find the Best Gantt Chart Software: Discover the best Gantt chart software specific to your business needs with this comprehensive list of Gantt chart templates. Google Sheets Gantt Chart Templates: The Complete Collection: Gantt charts offer complete visibility into project schedules, progress, and completion. Use this customizable collection of Gantt chart templates to share critical information and collaborate with team members and stakeholders. 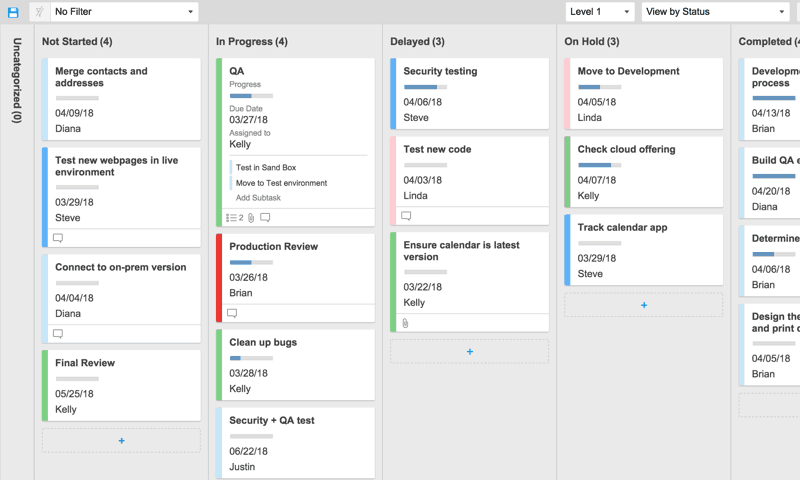 Free Kanban Card Templates: The Kanban method uses cards to indicate tasks and phases in a project, allowing teams to visualize their project from end to end. Create custom Kanban cards to ensure clear communication and increased efficiency throughout your project. 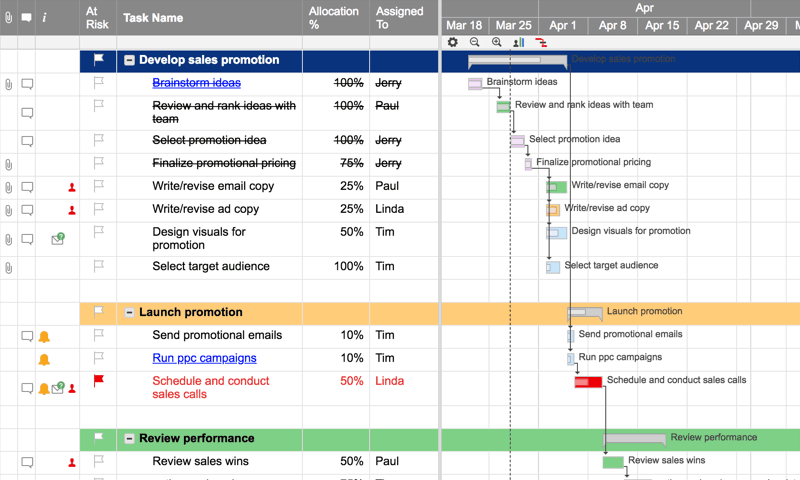 Free Agile Project Management Excel Templates: Agile project management is a flexible, interactive approach to ordering processes and coordinating responsibilities across teams. Leverage these free Agile Project Management templates for Excel to create powerful collaboration features linked to the Agile methodology. 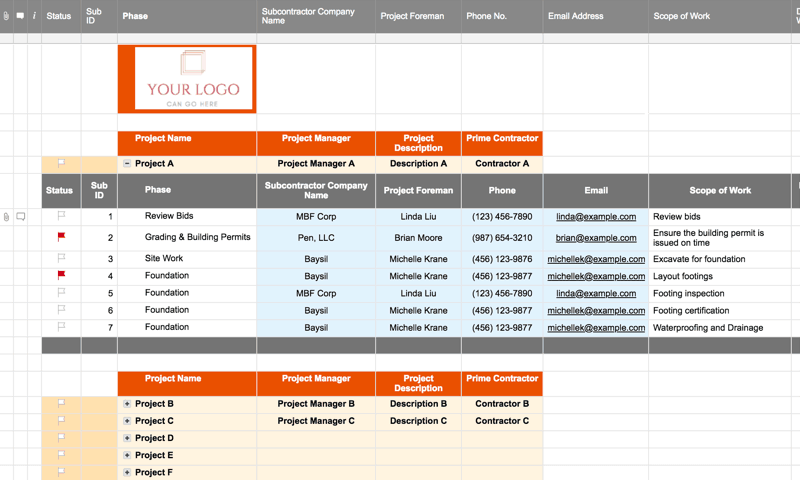 Excel Construction Management Templates: Construction projects must be organized, structured, and detailed in their tracking due to the many stakeholders, details, and documentation involved. Automate these important processes to stay organized and ensure success throughout your construction projects. Complete Construction Timeline Template Collection: Closely tracked and managed deadlines and task lists are key to delivering construction projects on time and on budget. 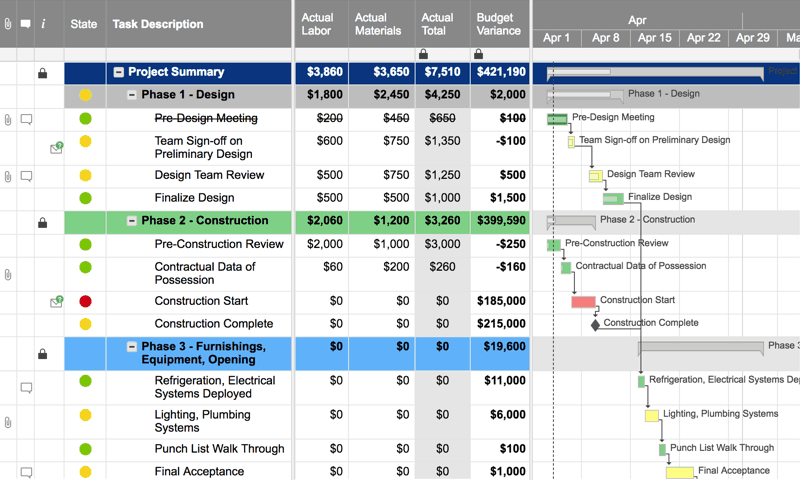 Leverage these construction timeline templates to schedule and assess all tasks associated with commercial and residential projects. Free Request for Information Templates: Collect key information from vendors and suppliers to create a short-list of potential suppliers for a project with a request for information template. Free Punch List Templates: Streamline your inspection process and reduce errors with a punch list that details outstanding work items or repair needs at the end of a project. Complete Collection of Free Change Order Forms and Templates: Adjust original project plans, yet maintain transparency and project timelines and scope with streamlined change order forms and templates. Find the Right Construction Daily Report Template or Software: Discover the most efficient way to document on-site work completed daily at a construction site, like working hours, tasks completed, and milestones achieved, with a construction daily report template. Marketing Timeline Tips and Templates: Create a comprehensive marketing timeline to help achieve marketing goals and track your progress in easy-to-read marketing timeline templates. Free Marketing Plan and Marketing Strategy Templates: Develop an powerful plan of action to help manage and achieve all your marketing goals with these customizable marketing plan and marketing strategy templates. Free Marketing Budget Templates: Prepare a thorough cost overview of marketing activities, from advertising to public relations, to reduce risk and maintain a budget with these transparent, easy-to-use marketing budget templates. Free Marketing Calendar Templates: Plan marketing timelines, set milestones, track resources, and maintain deadlines with these marketing calendar templates that offer an adequate overview of all marketing projects, from start to finish.